Voiceserve announces through its Voipswitch operation which develops innovative VoIP telecom solutions that it has received Symbian Signed status for its new mobile software module the "Vippie Mobile for Symbian". Vippie Mobile connects to Internet using either Wifi, GPRS, EDGE or UMTS. The mobile phone end-user utilizing a unit with the Symbian functions, on the selects the connection option when starting the application. Virtual PBX and Gizmo5 announce a new collaboration that gives clients a complete business-class phone solution that offers the industry’s deepest feature set at a price level well below the current industry standard. Built on an open-system VoIP peering platform, the new service combines the feature-rich products of both companies. As part of the announcement, Virtual PBX has launched iVPBX, a new product that provides customers with unlimited inbound calling and no per-minute fees at a price of just under $10 per seat -- about one-fourth to one-fifth the cost of most competing plans. 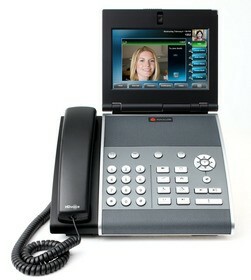 Gizmo5 clients who use the new iVPBX product can send calls by IP directly to their Gizmo phones at no cost. Skype for iPhone, will be available on the Apple App Store beginning today. The app also adds Skype calling and instant messaging to any second generation iPod touch with a compatible headset and microphone. Grandstream Networks introduced a plug-and-play IP multimedia telephone that allows free peer-to-peer video telephony as well as Web browsing and social networking applications. The new GXV3140 IP multimedia phone uses Grandstream’s preconfigured peer-to-peer technology to make Grandstream’s GXV3140 IP multimedia phone is preconfigured to make online video calls instantly when a user plugs the device into a broadband router. 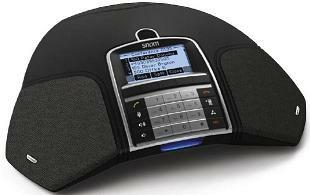 The device features a 1.3-megapixel tilting CMOS camera with privacy shutter, a 4.3-inch 480- by 272-pixel color LCD screen, dual Ethernet ports, SD and USB ports, a stereo headset jack, TV-out, stereo audio-out and a full duplex speakerphone. Vyke has extended its distribution channel for Nokia mobile phones. Vyke’s mobile Voice over Internet Protocol (“mVoIP”) service is now available for download in new WiFi enabled mobile devices in an increased number of global markets and variants. Admission: Free to Everyone. No Charge. What: This year's program consists of two tracks in two lecture halls. One track focuses on the basic installation and configuration of Asterisk. That's where volunteers install and configure Asterisk on attendee supplied computers for free. The installation and configuration will be shown and explained using the lecture hall projection screens. Digium announces the general availability of support subscriptions for open source Asterisk. The software, which Digium’s Founder and Chief Technology Officer, Mark Spencer, created and released under the open source GNU General Public License 10 years ago, is now the world’s most pervasive open source telephony platform. The new Asterisk support services allow organizations of any size to leverage the power of open source Asterisk with the confidence that their system is supported by a world-class support organization. The support subscriptions provide technical support, hardware replacements and substantial discounts on training programs to enable users to take full advantage of the power of the Asterisk platform. Low-cost calling just got lower with TruUnlimited, a robust, flat-rate, worry-free, calling plan announced by Truphone. People around the world can now call more places, both landlines and mobiles, more often - all for one, low, fixed price. The recession is crippling businesses across the nation, but several industries will remain unscathed by the current economic strife, according to recent Recession Updates published by industry research firm IBISWorld. As one of the nation's most respected independent publishers of business intelligence research reports, IBISWorld today announced the top 10 industries expected to have the largest revenue growth in 2009. 8x8 provider of 8x8 Virtual Office and Packet8 broadband business, residential, video and mobile communications services, announces the availability of an enterprise version of its hosted IP PBX phone service suited for deployment in larger organizations located in either a single building, a campus environment or distributed across multiple locations. IP5280 Communications announce the launch and immediate service availability of the Polycom VVX 1500 business media phone. The new device is the first of its kind and redefines desktop communications by combining a personal video conferencing system with high definition call quality and the ability to integrate with key business applications. The VVX 1500 seamlessly integrates IP telephony and user-level application functionality with an intuitive color LCD touch-screen interface that brings the long-overdue experience of interactive video to the desktop of businesses. Jaxtr announces the beta launch of Jaxtr On-The-Go, a new feature that allows users to make free and super-low rate international calls from their existing mobile or landline phone without having to go online. What: Sigma Systems will demonstrate its service fulfillment solutions at The Cable Show 2009, featuring residential video, business VoIP and Subscriber Information Service for advanced advertising. Also, Sigma Chief Technology Officer Brian Cappellani will host a panel discussion on OSS/BSS transformation as part of the CIO.IT track. Smoothstone has received a 2009 "Members Choice" award from the Telecom Association. Smoothstone was recognized for its overall program excellence by Telecom Association agent and channel partner voting members. Smoothstone is a nationwide IP communications provider that designs, integrates and services specifically tailored solutions, including VoIP, for medium size enterprises. Smoothstone received the "Members Choice 2009" award only a week after achieving Cisco Managed Services Channel Partner designation.